Cemetery markers and monuments come in many different sizes. 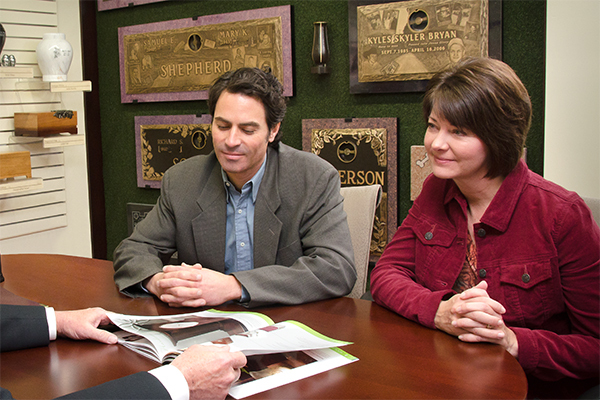 When choosing a size, you will want to consider how it will fit at the cemetery plot. You don’t want a marker that is too small or too large for the space. 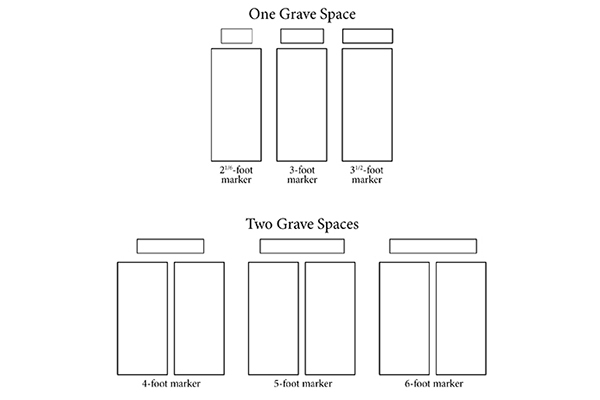 The illustrations show three sizes of markers set at one grave space for an individual or two grave spaces for companions. Your cemetery will have certain rules that determine the sizes of markers and monuments allowed. We can work with you and your cemetery to ensure that your marker fits within their regulations. Please call us for more information, or to design a marker or monument online, please visit our marker design tool.